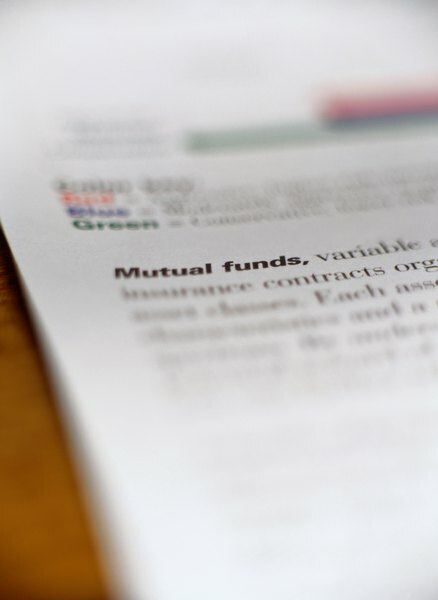 Retirees should consider fees when searching for a mutual fund. Although Social Security provides income for many retirees, some individuals need and desire additional income sources. Investing strategies for retirees differ from individuals in younger age groups. Retirees seek to preserve their nest egg, and if possible, grow their income. If you are retired, certain conservative mutual funds can provide a return on your investment while limiting risks. Understanding the types of mutual funds that are best for retired people can help you develop an effective retirement strategy. Bond funds are great investments for retirees because they provide period income payments and are less risky than stocks. The manager of a bond fund focuses his efforts on investing solely in bonds. The specific underlying assets vary per bond fund. Some funds choose to invest in a particular type of bond, while others select a variety of bond types. Mortgage-backed securities, corporate, municipal and government bonds are common assets found in a fund. Risks associated with investing in bond funds include credit, interest rate and prepayment risks. Legislation requires money market funds to invest in low-risk securities, making them a great mutual fund choice for retired people. The underlying securities may include government securities, certificates of deposits and commercial paper of companies. The dividends paid to investors typically correlate to short-term interest rates. Unlike a money market account, this type of mutual fund is not insured by the Federal Deposit Insurance Corporation. According to the Securities and Exchange Commission, losses in money market funds are possible, but rare. An income fund’s primary purpose is to buy and sell investments that provide investors with regular income payments. Although many income funds invest in bonds, income stock can also serve as underlying assets. Investors receive income payments on a monthly or quarterly basis. The loss of value is softened for income funds during a market downturn because they invest in stable companies with above average dividend yields. Some retirees look to managed payout funds to secure income for retirement. A managed payout fund allows you to remain in control of your assets. You deposit an initial investment with the fund and begin receiving regular monthly payments that remain fixed throughout the calender year. Payments are typically adjusted at the beginning of a new year, and can increase or decrease. You can lose money if the fund's underlying assets perform poorly.